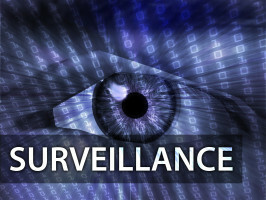 Surveillance is TCI’s cornerstone. Our private investigators stay relevant with technology, equipment and field training to maintain the level of excellence our clients come to expect. As mentioned above, providing our private investigators with state of the art technology is paramount to gathering the necessary evidence to close your case. We have the experience, and equipment required. Our average setup is over $3,000 and we have the ability for any situation day or night. Due to so much being at stake, judges need to make sure they are making the correct decision in regards to custody of the children. These are very complex investigations that have the potential to take a lot of time. Patience is absolutely essentially when building evidence for a Child Custody case. Without “concrete” or the “smoking bullet” you could jeopardize losing your case. Surveillance and photographic proof is the key. Domestic surveillance is the method used to discover if a significant other may be cheating. It has the potential to include: wives, husbands, girlfriends or boyfriends. In this case also known as following or tailing someone. We put experienced investigators in the field who follow the suspected cheater to document their activities while staying completely covert. We use state of the art cameras and video cameras to capture all of our evidence. Need a professional Private Investigator in Green Bay, Appleton, Oshkosh, Wisconsin? Call Third Coast Investigations now for information regarding surveillance or any other investigative services.